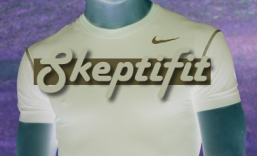 Skeptical based fitness, personal training, and the science and physiology of exercise. Evidence Based Fitness: Dr Bryan Chung is an MD and PhD researcher and methodologist in musculo-skeletal health. He is a regular peer-reviewer and editorial board member for one of the top sport medicine journals in the world. Leangains: Martin Berkhan works as a nutritional consultant, magazine writer and personal trainer. Considered the Internet’s leading resource on intermittent fasting and all things related. Skeptics Guide to the Universe: Podcast and forums which cover health, fitness and nutrition with a skeptical and scientific approach. Earlier this year, Dr Bryan Chung of Evidence Based Fitness wrote this blog post on scientific abstracts and those who share them, along with their opinions, without actually having read the full research articles. For those of you who aren’t ‘sciency’ minded, an abstract is essentially a very short summary of 2-3 paragraphs length, of a research paper which can sometimes be up to 20 pages long. Full papers usually include background information, methodological procedures, results & statistical analysis, final conclusions, study design floors and suggestions for future research directions. For a relevant example, see this abstract on protein consumption. It really is as intimidating as you imagine – particularly the ‘results’ section which, from my experience, most science-medical students don’t even pretend to have read when citing journal articles for their assignments. In fact it’s a bit of an in-joke amongst us, and I say that tongue-in-cheek knowing it’s a bad thing! It wouldn’t surprise me to find the same attitude amongst scientific and medically qualified professionals. After some to-and-fro with Dr Chung (see the comments at the end of his blog post) I found myself agreeing with the essence of his post but in some ways not the method of delivery. Add to this the fact that some important issues ought to be addressed, such as the repercussions of a lack of critical thinking and skepticism in the fitness community and what our role, as fitness professionals, ought to be in all of this. It’s taken me quite a while to separate out the issues in this topic and to arrive at what I think is essentially complete agreeance with this anti-abstract, “abstracts are entertainment only” viewpoint that is put forward. Do you even science? Do you? 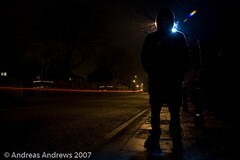 (Image credit: Me! Satire of Pubmed.com home page). The central argument is this: that people, fitness enthusiasts in particular, are linking to and discussing abstracts in isolation from the context of the full paper. While he doesn’t provide any links to give his audience context (I’m going to hazard a guess it’s at bodybuilding.com where broscience runs rampant), I still believe he makes several good points. For the most part, if you don’t have access to anything more than the abstract for a piece of scientific research then you’re probably not able to frame the conclusion of a study in it’s proper context. In addition, enthusiasts who have no science background or science education probably don’t possess the cognitive tools to adequately assess the research papers, even if they do have full access to said papers. And by “cognitive tools” I’m not calling anybody stupid, simply referring to the critical thinking and the depth/breadth of knowledge acquired from studying at minimum 3-4 years in a medical or science degree. That’s not to say that all tertiary science educated fitness professionals are well equipped to interpret the scientific literature – hell, even some pHD qualified Professors at my university probably don’t possess the cognitive capacity to assess the literature with any significant competency, but at the very least they meet minimum requirements. It really is a matter of appreciating how little we know about topics in which we’re not qualified, experienced, practicing and professional specialists, and being humble about it, and deferring our opinions to those who quite obviously are better equipped and more knowledgable on the subject. I think this, in essence, is the crux of the issue – that many “bro’s”, personal trainers and even fitness enthusiasts in the fitness industry view themselves as experts, and that really is quite problematic. Just because you can apply fitness protocols to yourself and others, and even see short term results, doesn’t mean that you’re doing it well, that chronic injuries won’t follow, nor does it mean that what you’re doing is methodologically sound. This harkens to the Dunning-Kruger effect. I appreciate the metaphor of comparing an abstract to a movie preview, while the full research paper is comparable to seeing the actual movie. Let’s build on this by saying that instead of paying $20 for the movie you’re actually paying *$200, and instead of being in English the movie is in a foreign language. Additionally, your understanding of the movie is dependent on your abilities to interpret it, and each person who watches this foreign film has a slightly different interpretation. Now ask yourself this: how many movies would you see if each of them cost $200, regardless how good the movie is supposed to be? If all your friends were talking about it as though they had seen it, wouldn’t you want to join in the conversation too? 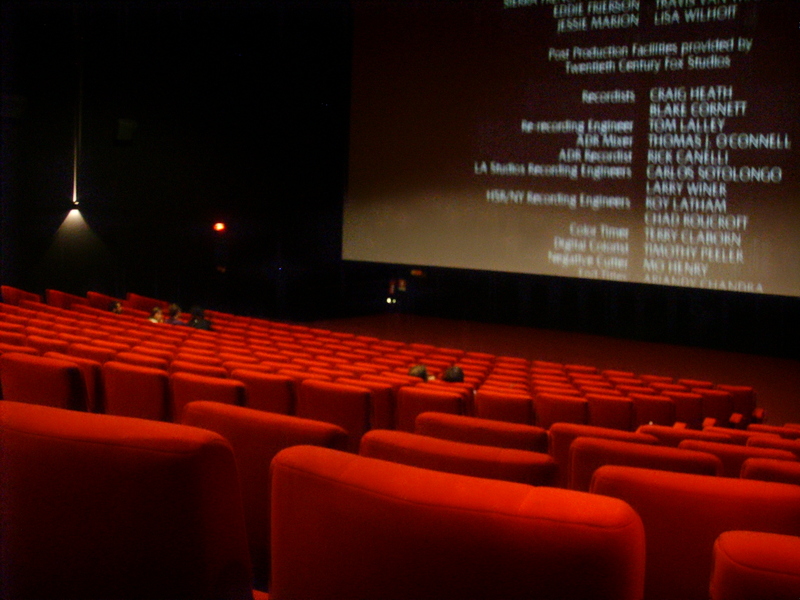 Might you pretend to have seen the movie, even though you hadn’t, and just extrapolate from the previews? Yeah that would be bad, dishonest in fact, but that’s kinda what happens with the online fitness community. Perhaps it’s best to leave it to well qualified professionals to interpret the literature, with full access to scientific research being one of the minimum requirements for interpretation and education. Without making an appeal to authority, I think it’s also a safe bet to say that qualifications in science or medicine are also a minimum requirement, and if you’re listening to a **fitness enthusiast discuss the latest scientific research they found on Pubmed.bro you should probably not only take it with a grain of salt, but the entire salt shaker too. How does this differ from something you read in the media? Well that’s the point, it kinda doesn’t, and arguably falls on the same rung of the hierarchy of evidence as does a well written, science media article. It’s entertainment, informative, perhaps even useful, but not for redistribution in an educational manner. So you consider yourself a science and fitness enthusiast? That’s not a bad thing, nor should it be discouraged, and I leave you with a final recommendation: Alan Aragon’s Research Review. He fits the bill as a well qualified, experienced, knowledgable (and well known) exercise physiologist who releases a monthly review/newsletter of the most interesting and relevant fitness, exercise and nutrition based research. So forget Pubmed abstracts, delete your Pubmed bookmark, and subscribe instead to an exercise physiologist who’s predigested the food for you! It’s not free, but from my experience as a (former, now lapsed) paying member it’s well worth it. What are your thoughts on the topic of abstracts as nothing more than a form of entertainment, similar to that of media articles? Have you experienced bro-science in fitness, or been frustrated by the lack of critical thinking and skepticism? Feel free to comment below and share your experiences! *1 year subscriptions to scientific journals can cost anywhere between $100 and $600. This metaphor treats a single movie as a 1 year subscription, with the understanding that a ‘movie’ is actually a successive number of research trials and metareviews which require consumption together in order to get a complete picture. Actual individual articles can be acquired for around $35. **Yes, “fitness enthusiast” includes those who deadlift 300lb’s, are members of their local barbell society, and hang out in well known fitness forums. In fact, it probably encompasses this demographic above and beyond most others – excluding those who are qualified. Be sure to follow updates to this and other Skeptifit blog posts by entering your email to the left, subscribing by RSS, or following me on Twitter, Facebook, or Fitocracy! 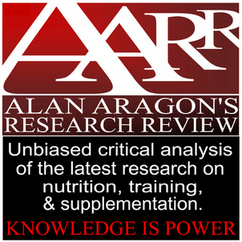 This entry was posted in Authors Thoughts and tagged Abstract, Abstracts, Academic publishing, Alan Aragon, bodybuilding.com, Broscience, Bryan Chung, critical thinking, Evidence Based Fitness, exercise, Fitness, Health, PubMed, Science in Society, Scientific method, skepticism. Bookmark the permalink. “Cherry-picking” the data is rampant in almost every field but seems to be especially so in matters of exercise science, nutritional research, and preventative healthcare. Bro-science is usually dispensed with good intentions in my experience but other conversations, especially those about the nature of a healthy diet, turn hostile pretty quickly, sometimes devolving into counterproductive character attacks. We’re all passionate about this stuff because it affects us all. My two cents is to follow the research from randomized trials that are performed at universities or academic medical centers. Research on strength- and high-intensity training has grown tremendously in the past ten to fifteen years and it is this data (and clear understanding of the implications of the data) that should drive discussions. -D.H. Thanks for your thoughts DH. While I agree with you that we should definitely let the RCT’s (and perhaps beyond this, the metareviews – if available) point the way, I believe this type of academic knowledge needs to be tempered with a certain depth of actual professional experience. The crux of my post is that non-professional enthusiasts probably should, for the most part, stay away from attempting to interpret the scientific literature and rather get their knowledge from trusted and experienced professioanls who interpret it for them. This is based on the fact that it really is a specialty which requires a certain level of 24/7 exposure in order to aquire the necessary depth and breadth of understanding. As already mentioned, it’s the Dunning-Kruger effect in action. Reblogged this on test if i.